WELCOME, MAYOR! 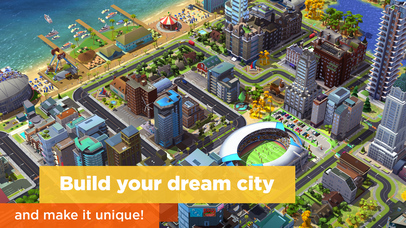 Build your own beautiful, bustling city where your citizens will thrive. 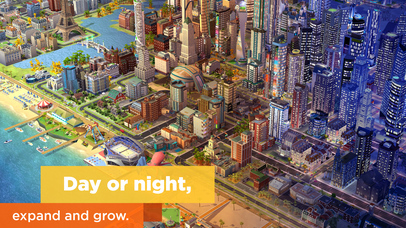 The larger and more intricate your city gets, the more needs your citizens have, and it’s up to you to keep them happy. 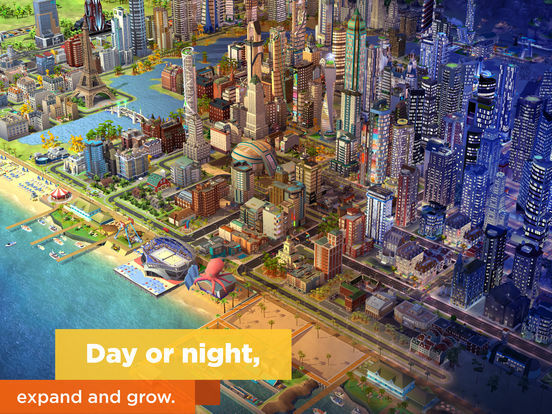 This is an all-new SimCity game – re-imagined for mobile! 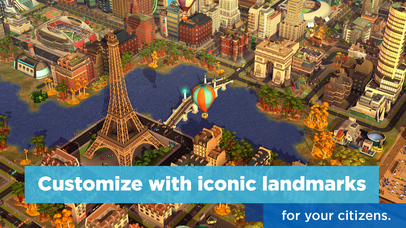 Create resources and build up your skyline. Trade resources with friends and other cities. Complete boat orders and ship cargo from your airport. 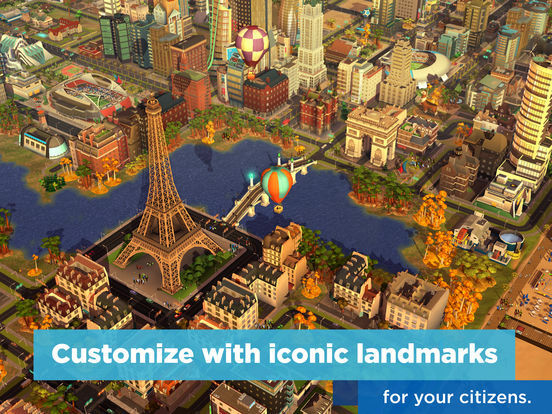 Build Tokyo-style neighborhoods and unlock exclusive landmarks like the Statue of Liberty. Expand along the beach with a marina, waterpark, and more. Unleash natural and not-so-natural disasters, like UFOs. 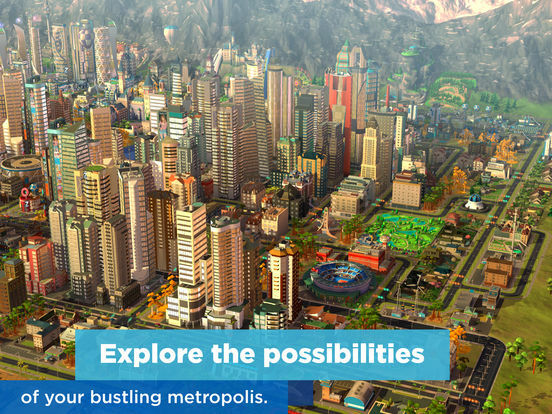 And with Future Cities, you can build and discover innovative technologies like drones, neo-currencies, and high-tech buildings! 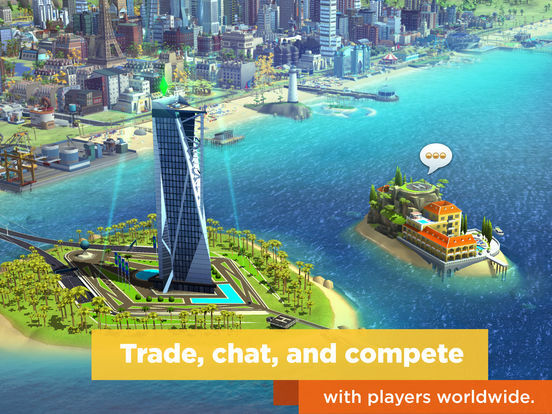 Take on other players around the world in the Contest of Mayors! Advance through Leagues and make your way to the top. 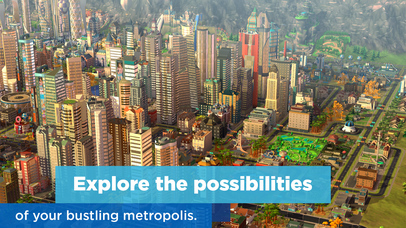 Complete new challenges each week, and climb the ranks all the way to the Megalopolis Elite League. 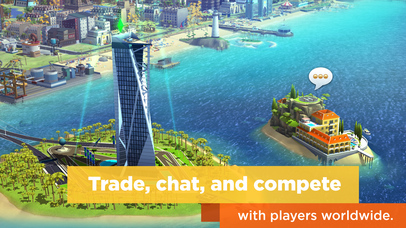 The top Mayors in each League will earn great rewards (and bragging rights)! 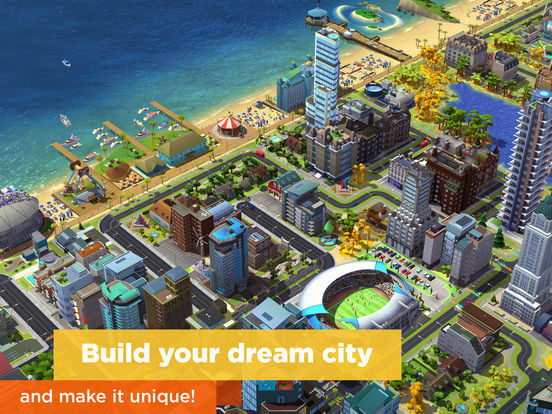 Build to win and watch your city come to life. Hey, Mayors! You can now add Tokyo-inspired buildings to your town, including the Fish Market, Hot Springs, Nursery, and Old Palace Park. Plus, there are a series of sales and events happening across your city every day of the week. Don’t miss the fun! And as always, thanks for playing.